OnePlus 5 Stock Recovery is available for the Download. Why we need a Oneplus 5 Stock Recovery image? Suppose you rooted your Oneplus 5 and Flashed the TWRP recovery on your phone. And in future, you want to go back to the Stock version and unroot your phone at that time you need a stock recovery of Oneplus 5 phone to install the latest Oxygen OS firmware. After that, you can easily get all the Oneplus 5 OTA update on your phone and flash the same with the Oneplus5 stock recovery. So Stock recovery is always useful and in future, you need this file. So here in this guide, we will explain to you how to Download the Oneplus 5 Stock Recovery and how to install the Stock Recovery on Oneplus 5 phone. The guide is simple and only take a minute to setup all things on your Oneplus 5 phone. So let’s get started and download the Offical Stock Recovery of Oneplus 5 phone. 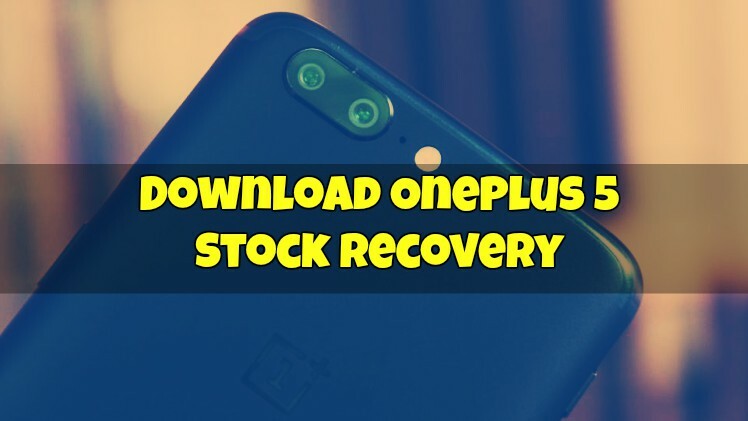 Visit this link and Download the Stock Recovery file for the Oneplus 5 phone. Now follow the below-mentioned steps to flash the Stock Recovery on Your Rooted Oneplus 5 phone. 1. 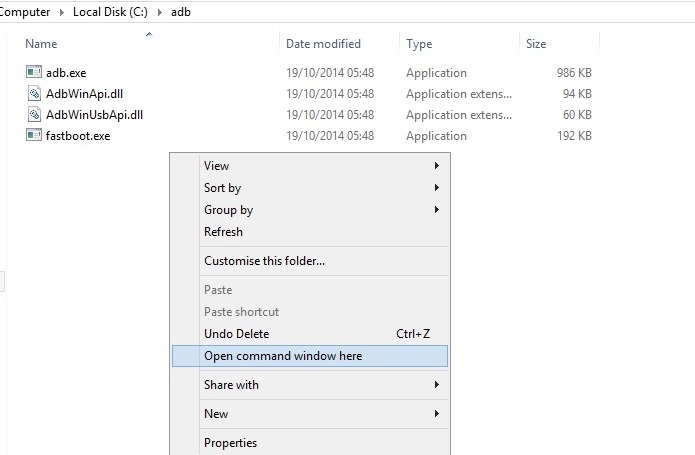 Download and Setup ADB drivers on your Windows desktop. 2. Now download oneplus 5 stock recovery from above mention link. And rename the file recovery. 3. Now open the ADB folder that you created in Step 1 and Paste the recovery image files in this folder. 4. Boot your Oneplus 5 phone in fastboot mode. To do this switch off your phone and Hold Volume UP + Power button. 6. Now Open the ADB file folder which you created above. And open the Command prompt there. (shift + right click anywhere within that folder, select open command prompt here). 7. Now run this command on the command prompt windows to flash the Oneplus 5 Stock recovery. That’s it! Now the Oneplus 5 stock recovery is successfully installed on your phone. 1. Save the Stock recovery on your phone’s internal memory. 3. Tap on Install in the TWRP main screen. Now, the default mode is to flash zip files; you will need to toggle the mode to images. 4. Now select the recovery image and choose the type of image as recovery. 5. Finally, swipe the button on the bottom of the screen to start the flashing process. Now stock recovery is flashed on your phone. If you have any query about OnePlus 5 Stock Recovery just comment below, we will reply you soon.